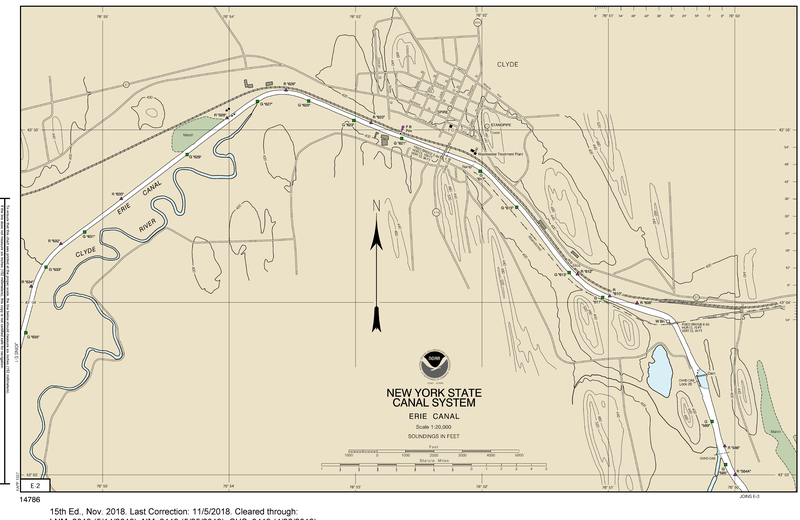 Mariners are advised of construction activities on the Erie Canal 900’ west of Bridge E-94 (Glassgow St, State Route 414) Monday, September 24th. This involves the installation of a new water surface measuring gage station along the south side of the channel. A new, uncharted day shape fixed navigational aid will be attached to this structure and numbered G “619”. Mariners are to come to a complete stop and transit through the area at idle speed.